Schengen at Risk: Can We Keep the Freedom of Movement? Video Statement by MEP Gérard Deprez, Member of the European Parliament, Member of Civil Liberties, Justice and Home Affairs Committee, ALDE Group. 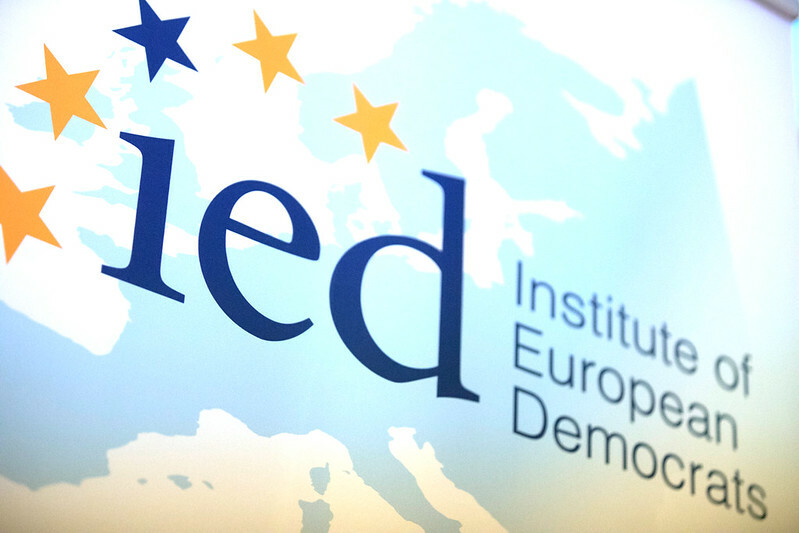 The IED and Mladí Európania –Young Europeans- co-organised the international conference "Schengen at Risk: Can We Keep the Freedom of Movement?" on 13th May in Bratislava. The aim of the event was to address the main current challenge of the EU: the migration-humanitarian crisis. Civil servants, politicians, university professors as well as young researchers came together in Slovakia to fill the gap of the lack of awareness and with the aim of finding possible solutions to avoid the abolition of one of the main achievement of the European project. The first table "Visegrad Group and the migration impasse: Schengen at stake?" gathered together representatives from the 4 countries: Slovakia, Hungary, Czech Republic and Poland. This political conception was created in 1991 to enhance mutual cooperation in the Central Eastern European region. Mr Slavomir Rudenko, Director for International Affairs of the Pan-European University, moderated the session that approached the migration scenario in those countries. Ms Jana Vnuková, Head of European Union Law Unit of the Ministry of Foreign and European Affairs in Slovakia, recalled the problematic of losing Schengen. In the same line, Ms Zsuzsanna Szelényi, Member of the Hungarian Parliament -Együtt Pártja- in Hungary underlined that the freedom of movement is the core symbol of the EU and we should stay away from populism and propaganda. She concluded that media has a big impact in the development of the situation. Mr Václav Nekvapil, CEC Government Relations' Managing Director in Czech Republic, focused on the role of the Visegrad Group in the crisis he revealed that they have not acted as a single voice, meaning that a more consistent engagement should drive their decisions. Mr Andrzej Potocki, Vice President of Stronnictwo Demokratyczne in Poland closed the debate alarming about the increasing populism around Europe in general and in his country in particular. The second table "The Migration challenges: Human Rights, International Cooperation and Migration Management" opened with Ms Zuzana Vatráľová, Head of Office of the International Organization for Migration in Slovakia, who insisted that migration is natural to human beings and not a problem, thus that reality has to be respected. Ms Berta Fernández, Visiting Senior Lecturer, Institute for European Studies, University of Malta, explained the reluctant of the island to the migration and its goals for the upcoming EU Presidency in 2017. Malta faces the double approach to migration: they do the jobs that we do not want and they are the source of instability. Ms Monika Begovic, Vice-President of the Centre for International Studies, International and Officer in Croatian Parliament Political Party 'NS-Reformisti', explained the experience of the Western Balkans from being a refugee sender area to a transit one. Europe has shown its worse version building fences in Hungary, Poland claiming only Christian refugees and Austria introducing anti-migrant measures. Finally, Mr Martin Klus, Member of the National Council of Slovakia, Professor at the Department of Political Science of the Faculty of Philosophy and Arts of Trnava University, focused on Slovakia and what it is happening at the national politics. The third table "Research Project "Migration, borders control and solidarity: Schengen at stake? ": the Youth Perception of the Schengen crisis" was devoted to the introduction of the IED Research Project. Researchers granted with the fellowship debated their views on the so-called crisis. Ms Katarina Kosmina, Researcher, European Policy Centre, Belgrade, underlined the use of the language and the negative perspective of the word "crisis". Then Mr Mihai Sebe, Expert in Romanian and European Politics, European Institute of Romania, broke in the perspective of a non- Schengen country. Mr Antonios Nestoras, PhD candidate, Institute for European Studies, Belgium, argued that Greece needs the solidarity of the EU Member States. Mr Tommaso Emiliani, Academic Assistant, College of Europe, focused on the critical analysis of the EU discourse and policies in the wake of the Arab Spring, in particular, the case study of Lampedusa. Finally, Mr Joaquín Ferro, Policy Assistant, European Parliament, related terrorism in Europe and the rising of populism. The aim of the last table was to give "The voice of the Young Europeans: a look to the Future", Young Europeans together with members of Young Democrats for Europe presented the ideas and perspective on Schengen from the youth's point of view. Young Europeans decided to create a survey, with aim to understand and discover the various youth's opinions on the subjects with the topic connected. The survey consisted of 8 questions, focusing mainly on the attitude towards Schengen and youth's perception of Schengen, covering issues of security, protection of its external borders, or the impact of the Refugee Crisis on Schengen, to name a few. Check the result in this link. Do not forget the special intervention of Gérard Deprez (see video above), Member of the European Union Parliament, Member of Civil Liberties, Justice and Home Affairs Committee, ALDE Group. The EU should focus not only on its interests but also on the values it is built upon. The event was organized with the financial support of the European Parliament. IED Research Papers: Migration, borders control and solidarity: Schengen at stake?